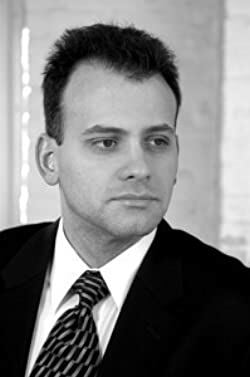 Savvy forensic accountant Alabaster Black is hiding in Rome from her former employer, covert U.S. organization "Rendition." 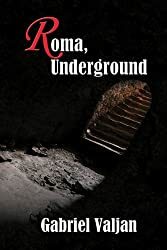 While there under an assumed name she meets Dante, an investigator, erstwhile explorer and member of the Roma Underground, a band of amateur archaeologists who map the city beneath Rome. With Italian artifacts disappearing at an alarming rate, Alabaster and Dante search for answers and create a trap for the thieves. Through a mysterious online contact Alabaster learns she is being followed, and with her safety at risk she is forced to rethink her chosen alliances and discover hidden truths about herself. Roma Underground is the first in a four book series by author Gabriel Valjan. It falls firmly in the Mystery/Suspense category - excitement and danger without a lot of gore and brutality. Romance a possibility, but not important to the plot. Right up my alley. I always enjoy strong female characters and Alabaster Black is definitely that. She's smart, resourceful and in hiding in Italy. Then we have several great male characters filling out the story including Dante (their relationship is left very ambiguous for a long time), his boss Gennaro, his co-worker Alessandro, police officer Farrugia and Professor Moretti. By the end I felt like I knew each character well and could picture them in my mind as I read the story. That same descriptive strength is show when describing the amazing cuisine (many meetings were held after dining in a cafe), the humid weather, the town itself and lastly, what it was like to go underground and explore. You could almost smell the musty, dank, putrid air. There was one moment underground in the dark that made me shiver, but I don't want to spoil the moment for you. An entertaining read that took me out of my surroundings and whisked me away to foreign lands and great intrigue. Next up - Wasp's Next.